US customers that moved production to Asia are starting to return to Central America in a bid to offset production problems and skyrocketing raw material prices. And European customers are also beginning to explore the region with a view to placing future orders there as well. Guatemalan jeanswear maker Denimatrix has won supply orders from three unnamed US and European apparel firms eager to move some of their manufacturing to Central America at a time when Asia is facing deepening production woes. Five years after the signing of the Dominican Republic-Central American Free Trade Agreement (DR-CAFTA), Central America's battered textiles and apparel industry is feeling more hopeful that the pact will deliver some of its initial investment targets - especially now that Asia is struggling under major manufacturing and sourcing problems. The Nicaraguan textile and apparel industry is in a buoyant mood after a recovery in US demand last year helped lift the sector's exports by 14% to $1bn. Here government promotion institute Pro Nicaragua spells out some of the country's competitive advantages. Wal-Mart de Mexico y Centroamerica has revealed plans to develop its Central American unit, announcing its intention to invest some MXN18.97bn (US$1.6bn) during 2011. Organisers of the annual Apparel Sourcing Show (APSS) in Guatemala say the next event in March will highlight new business opportunities resulting from the recovery of the region’s textile and apparel industry. 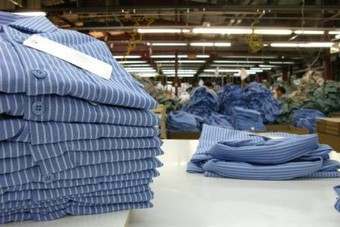 Guatemalan textile and apparel exports to the US surged 18% to US$1.7bn in the first nine months of 2010, reversing a sharp decline in the the same period last year, leading textiles chamber Vestex announced. While a stellar fourth quarter and full-year performance at Gildan Activewear Inc was overshadowed by its warning that higher cotton costs in the year ahead are likely to eat into margins, the T-shirt and sock maker is confident it is well-positioned to weather the “new paradigm” taking place in global manufacturing. Textured yarn maker Unifi Inc is due to open its new El Salvador facility at the beginning of next month, in a move that will provide a base for customers sourcing from the Central American region.